Hello from PhotosMadeEz, Where we Capture Smiles, One shot at a time. All over the world, Dance has been the most common medium of expressing love and happiness. 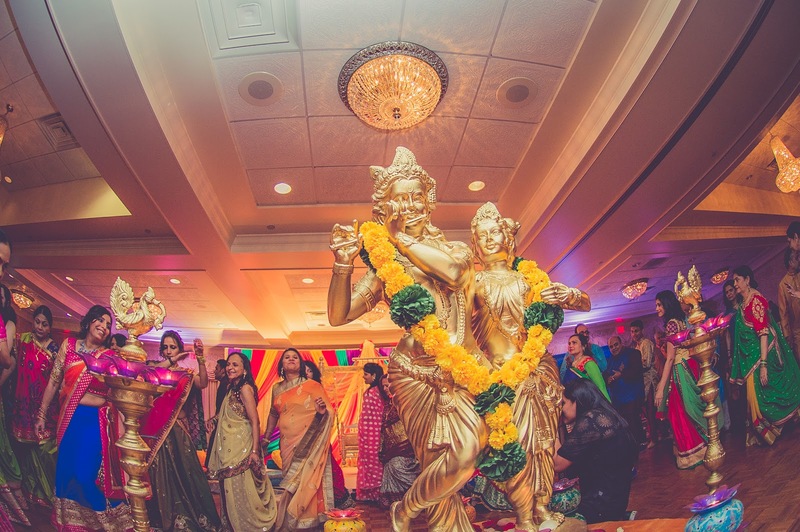 Naturally at weddings, people leave no stone unturned to dance on their favorite tracks. 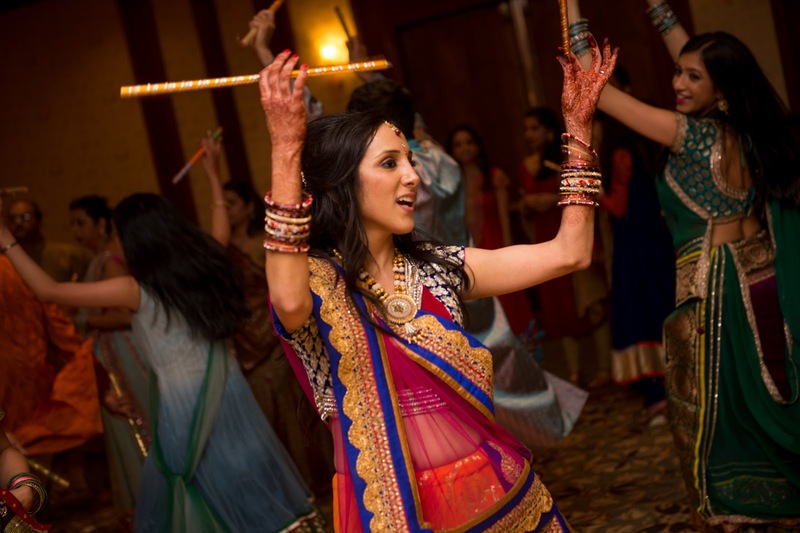 The dancing pretty much starts with the Sangeet Nightand ends at the Wedding Reception. Though a lot of dances are pre choreographed Garba is one form of dance where no choreography is needed if you are a Gujarati. Garba is a folk dance depicting Lord Krishna and Radha’s ras leela in Vrindavan. It is the featured dance played during the Navratri festival. It is also known as Garbha Deep. On the Garba night the bride and the Groom light the dia or the lamp in front of the idol of Goddess Durga and start the dance going around in circle . 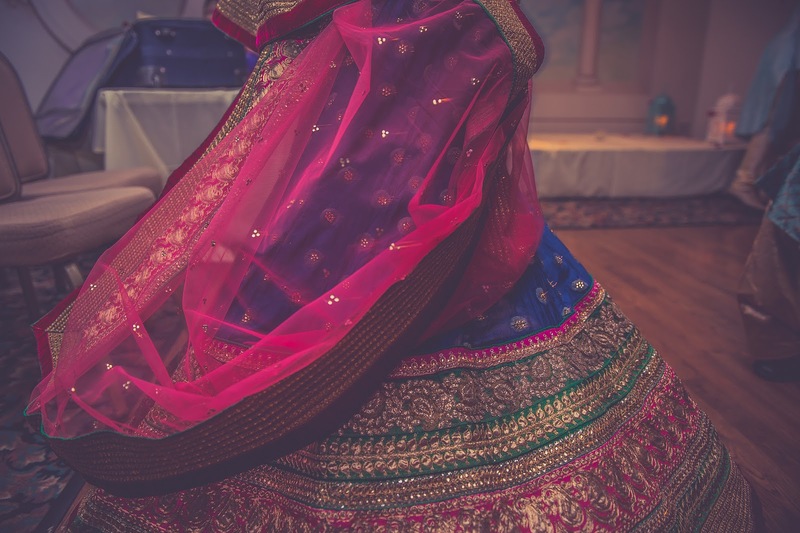 The bride typically wears traditional ghagara choli and bandhani dupattas dazzling with mirror work and heavy jewellery. Family and friends join afterwards. A highly energetic dance form where the dancers move their entire body in a very well choreographed manner to the tune of Garba music. After the Garba is done comes the Ras which is a dance played with Dandiyas. Dandiya come in pairs. The Bride and the Groom typically have their own customized dandiyas Most of the Dandiya steps require even number of people. Garba mixed with dandia doubles up the fun. 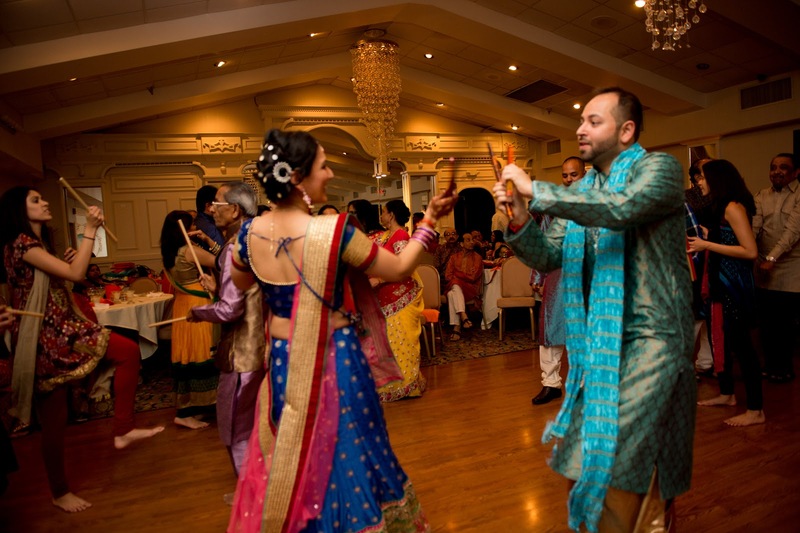 So what should you do to get great photo and video on Garba night? Start of by taking your portraits and then put on your dancing shoes. The staff of PhotosMadeEz will take care of all the candid photos of your Ras Garba..
First Look Photos on your Wedding Day.